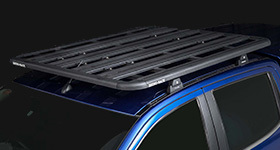 Get up to 70% OFF a set of Rhino-Rack roof racks - If your vehicle is listed below. 1) A test fitting on your vehicle. 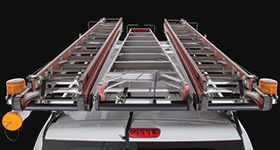 2) A photo shoot showcasing various roof rack systems and/or accessories on your vehicle. Please allow up to 6 weeks for a response. If you don't hear from us in that time it's possible we may have already found a suitable candidate or your particular vehicle may not be what we have in mind. A test fitting on your vehicle. We will use your vehicle to develop a new roof rack fitment. Your vehicle will not be modified in any way unless a track is to be installed on your roof (in which case we will discuss this with you beforehand and proceed only with your permission. 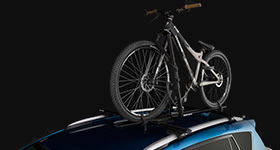 You may be able to receive your roof racks on the day, but as this is a test fitting, we cannot guarantee this. You may need to pick them up at a later date. Our engineering team will advise you of the available fitment options and you will be able to select which one you want to have installed on your roof. You will receive the system for 70% off the RRP. A photo shoot showcasing various roof rack systems and/or accessories on your vehicle. If this is what we need to do with your vehicle you will need to ensure your vehicle is completely undamaged and scratch free. It will also need to be washed (tyres included) prior to being brought in. Rhino-Rack will need your vehicle for 1 full day (8:30am - 4:00pm). 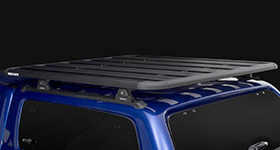 You will be allowed to select a roof rack option from any of the available fitments for your vehicle. You will receive the system for 70% off the RRP. The roof rack system you select at the discounted price must be a system which is classified by Rhino-Rack as a valid fitment for the vehicle you have booked in. 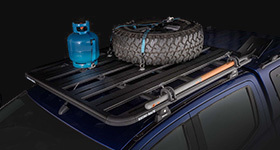 The 30% OFF accessories discount only applies to accessories purchased at the time of purchasing the discounted roof racks. 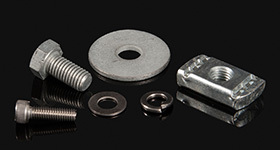 If requested, Rhino-Rack can install the accessories for you. An $80 per hour fitting fee will be charged if Rhino-Rack is required to install any of the following types of accessories: Boat Loaders, Trays, Ladder Racks. If your vehicle fails to meet any of the specific requirements outlined above or isn't the correct vehicle, then Rhino-Rack will not use your vehicle and you will not be eligible for the discounted roof racks. Rhino-Rack reserves the right to cancel or amend a booking at any time at it's own discretion. If this is the case then due care will be taken to advise you as early as possible of the change.